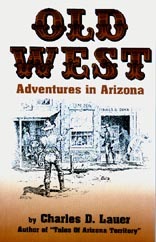 In the Arizona Territory men played for keeps! Stagecoach travel was often interrupted by murder from ambush and raiding was a way of life. Arizona's history still rings with vibrant memories of the past.